Hong Kong is near the top of many traveler’s must-see lists and with good reason. From colonial architecture to towering skyscrapers and fantastic food, Hong Kong is where the east truly meets the west. In 2011, there were over 22 million foreign visitors to Hong Kong, more than all Asian countries save China and Malaysia. However, despite the large number of visitors, Hong Kong has enough to do that you’ll never feel it’s overflowing with tourists. However, expect to feel crammed at times, as Hong Kong is home to over 7 million people, making it the fourth most crowded sovereign state/territory in the world. Don’t think that means you can’t enjoy your stay in Hong Kong, though, because Hong Kong is a bustling city will perk up even the most jaded traveler. Here are 7 great things to do the next time you visit Hong Kong. Stoically sitting atop a hill in a quiet corner of Lantau Island, the Tian Tan Buddha is probably the most impressive sight in all of Hong Kong. At 34 meters tall, the Tian Tan Buddha is the largest, seated, outdoor bronze Buddha in the world. Accessed by an imposing 268-step staircase, the statue can been seen for miles. In fact, some even claim it can be seen from Macau on a clear day. At the base on the statue sits Po Lin Monastery, one of the more peaceful in Hong Kong. While not the most beautiful in Asia, the monastery has some intriguing carvings and a stunning main hall. The main hall of Po Lin Monastery on Lantau Island in Hong Kong. While ferries can take you between nearly any of Hong Kong’s many islands, taking the Star Ferry from Hong Kong Island to Kowloon is one of the must-do things for visitors to Hong Kong. Not only is it the cheapest way to cross between the two main areas of Hong Kong, but it also provides visitors with a great view of the city. Great during the day, the trip gets even better at night as the city’s lights turn on. Taking the ferry is definitely a highlight of any trip to Hong Kong. 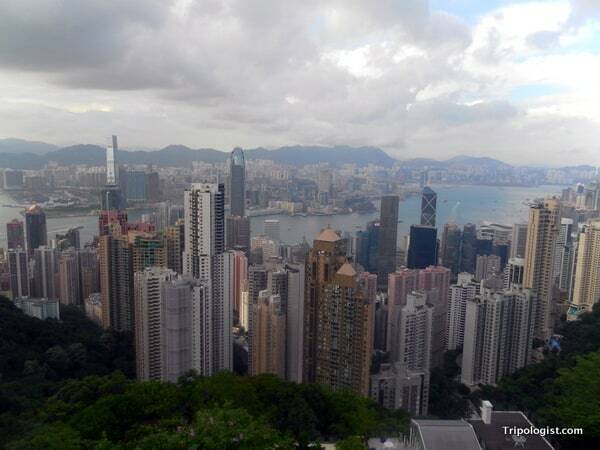 Towering above downtown Hong Kong, Victoria Peak is one of Hong Kong’s top attractions. Accessible by foot, bus, or funicular, the peak affords a fantastic view of the entire city and the border with China While the peak has several shopping areas, restaurants, and even a Madam Toussauds’ Wax Museum, the highlight is still the view. Make sure to get to the peak a bit before sunset so that you can watch the city’s lights come on as the sun goes down. 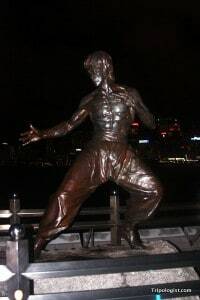 The iconic Bruce Lee statue on Hong Kong’s Avenue of the Stars. Just as Hollywood has the Walk of Fame, Hong Kong has the Avenue of the Stars. With well-known stars such as Bruce Lee and Jackie Chan, cinema in Hong Kong is a huge industry. Sitting on the waterfront, near the ferry dock in Kowloon, the Avenue of the Stars is a collection of bronzed handprints and statues showcasing some of Hong Kong’s biggest actors and actresses. While most of those featured are unknown to many westerners, make sure to find Jackie Chan’s handprints and the famous statue of Bruce Lee. The Avenue of the Stars is also the best view-point for the very boring light show that is run every evening. When most people think of Hong Kong, the concept of a large city with major congestion is likely what comes to mind; however, Hong Kong actually has some fantastic hiking. Not only can you hike across many of the city’s outer islands, but there are also fantastic hiking trails a stone’s throw from the heart of Hong Kong. Winning the award for the best urban hike in Asia, as well as the hike with the coolest name, the Dragon’s Back hike is a 8.5 kilometer trail that affords fantastic views of both the city and the South China Sea. Easily accessible from downtown, the hike is a must for nature lovers. No trip to Hong Kong would be complete without a ride on the city’s iconic tram. Dubbed the “ding ding” by locals for the sound the tram makes as it makes its way through the city streets, riding the tram in Hong Kong is as necessary as riding a trolley in San Francisco. While the narrow cars may be bumpy and un-air conditioned, a ride on the double-decker ding ding is a great way to see Hong Kong. 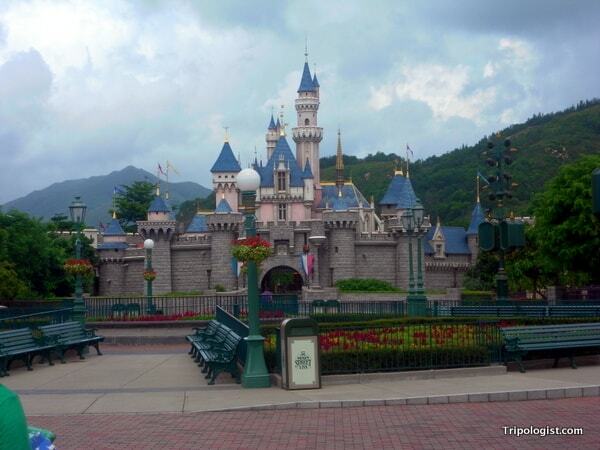 Cinderella’s Castle at Hong Kong Disneyland. Located on the island of Lantau, Hong Kong Disneyland is the smallest and least visited park in Disney’s empire, but that doesn’t mean it’s not worth visiting. When I was there in June 2012, I was able to walk onto many rides and the longest wait time I saw all day was 30 minutes (By comparison, the snack lines are longer than 30 minutes at Tokyo Disneyland). The lack of crowds and the small park size mean that you can very easily see all of Disneyland in a single visit. If you want an amusement park with a bit more cultural flair, try Ocean Park on the southern part of Hong Kong Island. While it may lack the coolness factor of Disneyland, Ocean Park features more “grown-up” rides and is the choice of many locals. Situated on the southern coasts of China in the South China Sea, Hong Kong is home to some fantastic beaches. Easily accessible on public transportation, Hong Kong is home to popular choices such as Repulse Bay, Shek O, and Big Wave Beach, each of which have fantastic facilities and restaurants. Further afield, Lantau Island and many of the other 200 outlying islands of Hong Kong have beaches that range from popular weekend hangouts to secluded private beaches. If you want to hang ten on a surf board, head to the aptly named Big Wave Beach on Hong Kong Island. 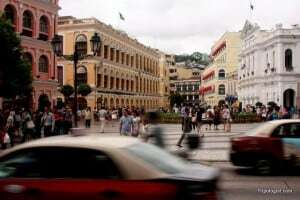 Largo de Senado, the main square in Macao’s old town. Ok, ok. So this technically isn’t something to do in Hong Kong, but it is a great day trip to do while based in the city. And, there are a ton of things to do in Macau. A former Portuguese colony, Macau retains much more European flair than Hong Kong, and a trip there can make you feel as if you’ve been whisked away to the streets of Lisbon. From the winding, cobblestone streets in the historic center to the ruins of St. Paul’s Cathedral, Macau is a fascinating blend of cultures. After dark, make your way over the one of the many casinos that dot the city. Despite not being as well-known a destination in the west, Macau actually takes in more gambling revenue than Las Vegas. Interestingly, the casinos only accept Hong Kong dollars, not Macau Pataca. Boats from Hong Kong run to Macau 24-hours a day and take 60-90 minutes. Passports are required, and you will be stamped in and out of both cities. Do you have any other suggestions of great things to do in Hong Kong? Let us know in the comments section below. Yeah, there are a ton of absolutely fantastic restaurants in Hong Kong. Thanks for suggesting a few. -Get my fill of things Indonesian when I’m unable to get to Jakarta. Visit the area right by the Indonesian consulate (in Causeway Bay) for your fill of gado-gado and Teh Botol, just maybe not on Sunday, when the district swells up even more with maids taking their day off vying for foot-space with the rest of the shopping gang. -There are badminton nets by one of the Canton Rd. entrances to Kowloon Park that are tempting. -As irritating as the copy watch punks are, I still end up in Chungking Mansions every time. Turkish, Pakistani and Indian food, in addition to West African canteens in the upper floors, must be the reason why. Must be why I often enter the building from a side door. -If you’ve got a couple of hours to kill at the airport, there’s a trail hugging the coastline right by it. Good for airplane spotters, and for “fans” of Tung Chung. Great suggestions! I especially like the one about the hiking trail near the airport. I’ll have to check that out if I ever have a long layover in Hong Kong. Great round up, just explains why it’s the best city/state in the world! 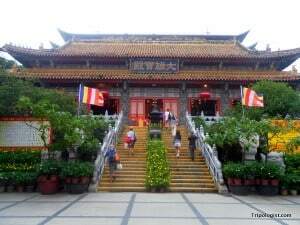 You could almost do a “9 great things to do on Lantau Island” list on its own. I personally love Tai O and regret only staying there for one night on my honeymoon!